Remodeling your home can be stressful—especially if it’s your first time. One of the most important aspects of any home remodel is the budget. Planning your remodel around a budget is one of the best ways to be sure you get the value out of your remodel that you intended. 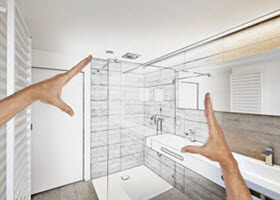 Bathroom remodeling is one of the areas that homeowners tend to splurge unnecessarily, which can wind up costing them too much money in the end. However, there are ways to upgrade your bathroom without breaking the bank. Here are some helpful tips that will allow you to remodel your bathroom on a budget without draining your wallet. If you’re going to attempt to remodel your bathroom, it’s always good to begin by establishing your budget. This usually entails a fair amount of research of the common materials used in bathrooms, associated costs, and how to know when you’ll need to outsource professional help. Establishing a budget for your remodel is best achieved when you have an understanding of how much the individual components will cost throughout the process. In order to establish a realistic budget, it may be helpful to obtain an estimate from a remodeling professional. When you think of bathroom remodeling, you imagine tile work, nice countertops, and elegant flooring. 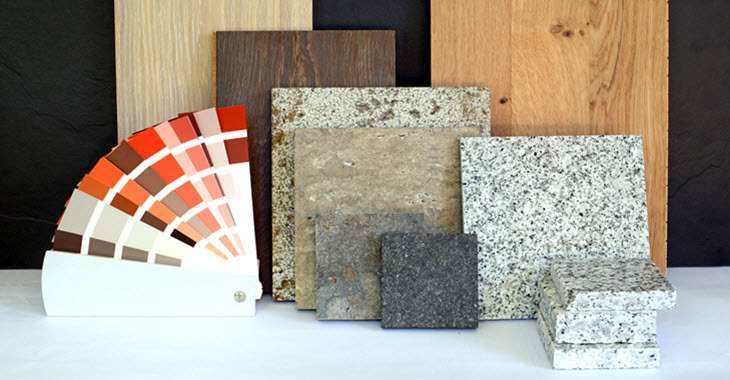 Now, you might be thinking, “it’s not possible to achieve all of that within my budget!” but there are plenty of options available out there, including countertops, tiling, and flooring that won’t ruin your budget and will add significantly to the success of your remodel project. Picking and choosing accent tile or accent pieces instead of tiling your whole bathroom, for instance, is one way to be cost-effective with your materials and get the most bang for your buck without a ton of unnecessary work. You might imagine that using better quality materials might significantly add to your budget, and you’re not totally wrong. However, it’s important to be forward-thinking when it comes to remodeling projects. Using durable materials will wind up saving you money in the long run, as you’ll not have to deal with materials wearing out quickly or being particularly susceptible to damage. For instance, choosing the right flooring in bathrooms is critical to ensure that water damage doesn’t occur; it’s best to choose a flooring option that will stand up to water exposure. This is one of the best ways to totally transform a space without a huge overhaul. Many bathrooms are smaller in size, and paint can have a significant effect on enhancing the perceived size of the room. Choosing a lighter color for your bathroom can help reflect light off of the many surfaces, which makes the space appear much larger than it is—and you didn’t even have to knock down a wall! It’s the little things that add up in bathroom remodeling. Updating fixtures such as water faucets, towel racks, and shower heads can make your bathroom appear more elegant with minimal effort and money. Just be sure to use matching fixtures for an overall cohesive look. Keeping as many pieces that already exist in your bathroom can cut way down on costs. For instance, if you have an antique vanity that you love, but it’s not holding up to the moisture in your bathroom, you might consider refurbishing such pieces to better withstand the environment. Additionally, making small changes, such as installing ventilation, is a cheap way to preserve the integrity of existing furniture without cutting too far into your budget. Don’t let our name deceive you—here at Kitchen Emporium, we provide remodeling solutions for the most important areas of your home, including your bathroom. In the Southern California areas, including: the San Fernando Valley, San Diego, and San Marcos, home values have increased exponentially over the years. Bathroom remodels are one of the most effective ways to increase your home value with minimal effort and money. If you’d like to begin a bathroom remodel project on a strict budget, or would like to know more about the services we offer, please contact us directly.